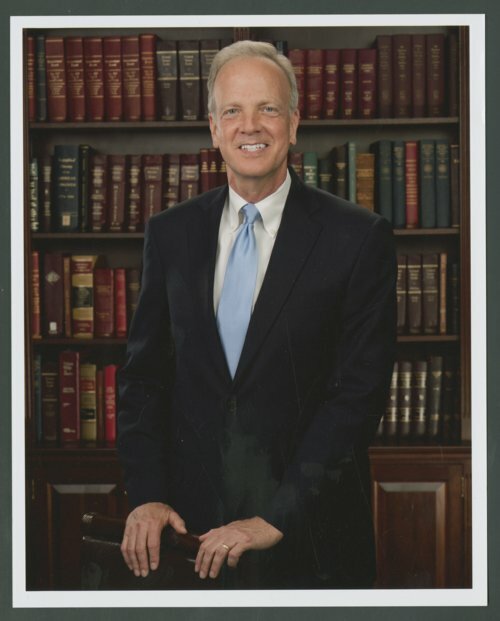 This is a photograph of United States Senator Jerry Moran who was raised in Plainville, Kansas. He attended Fort Hays State University and later the University of Kansas, where he completed a degree in economics in 1979. After an early career as a small town banker, he received his Juris Doctorate from the University of Kansas School of Law in 1982. Prior to his election to the Senate in November 2010, Moran served Kansans in the First Congressional District for seven terms and eight years in the Kansas State Senate. While in the Senate, he has served on the Banking, Housing and Urban Affairs Committee, Appropriations Committee, and Veterans' Affairs Committee.